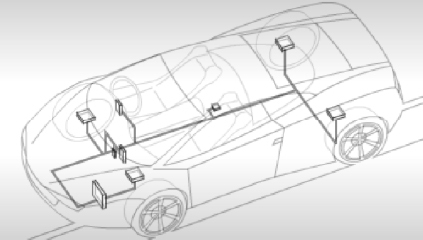 We have earned the trust of major automobile manufacturers, suppliers, and semiconductor vendors with our development of various specifications related to high-quality automotive LANs, conformance test services for specific OEMs, at design time simulation-aided vehicle wire harness routing analysis service, and other associated consulting services. C&S Group is the only company in the world to be accredited by various third-party standardization organizations such as CAN, CAN-FD, LIN, FlexRay, and Ethernet. And by working together with C&S we are able to provide a high-quality service, for development of standardized specifications in automotive LAN. In the future, automotive communication function will continue to evolve, and we are working to introduce next-generation communication functions (CAN-FD) and Ethernet to our customers. We capitalize on our accumulated experience, technology, and expertise in automotive sector to provide high-speed and reliable communication in new services such as automobile driving.